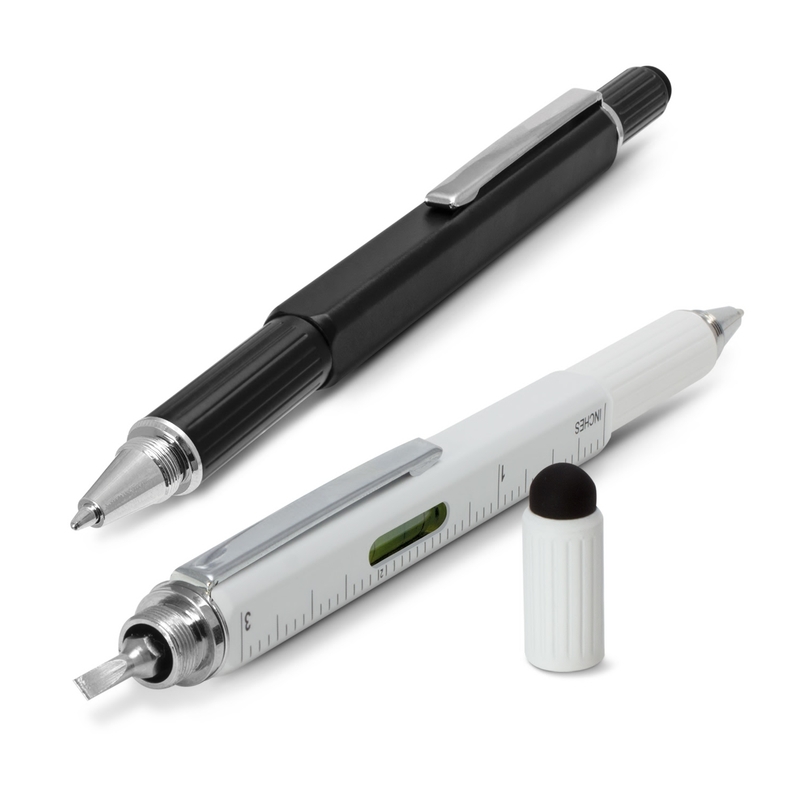 A multifunction pen that features your logo or branding message, how many uses can you think of? 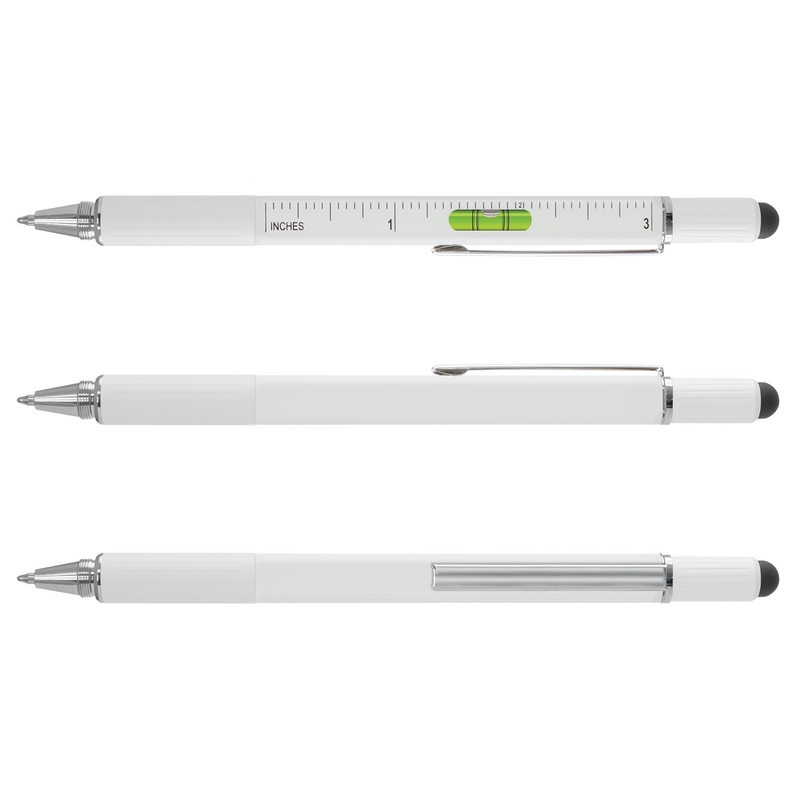 A pen that can do it all (well nearly)! 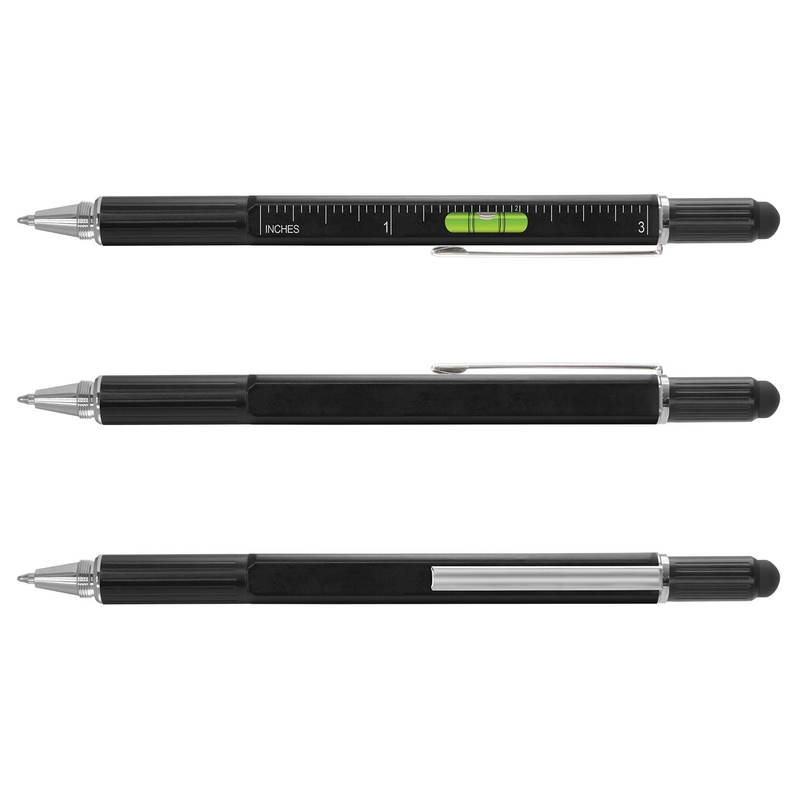 Coming in either black or white these aluminium ball pens have a myriad of uses that will impress. 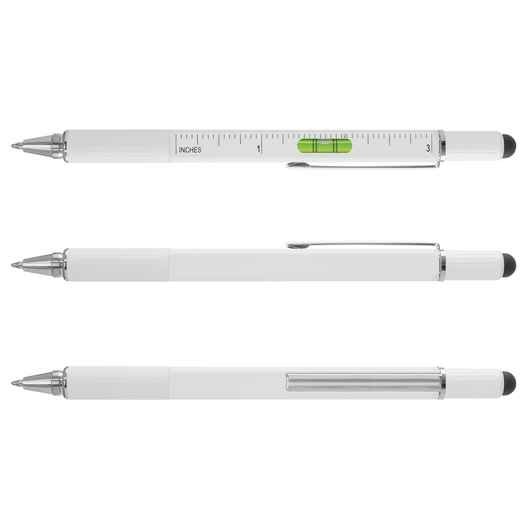 They host a ruler that will measure both metric and imperial measurements, a spirit level and two screwdrivers in the upper barrel as well as a stylus that can be used on either end of the pen for use on touch screen devices. 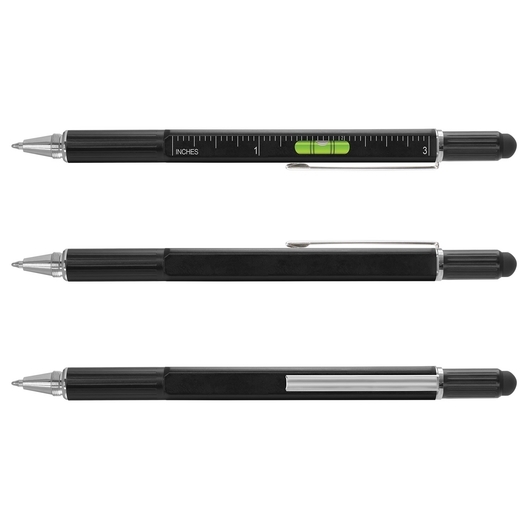 These pens utilise a carbide ball for improved writing quality and come with 400m of German made black writing ink. They laser engrave to an oxidised white colour and can be presented in an optional black velvet sleeve.